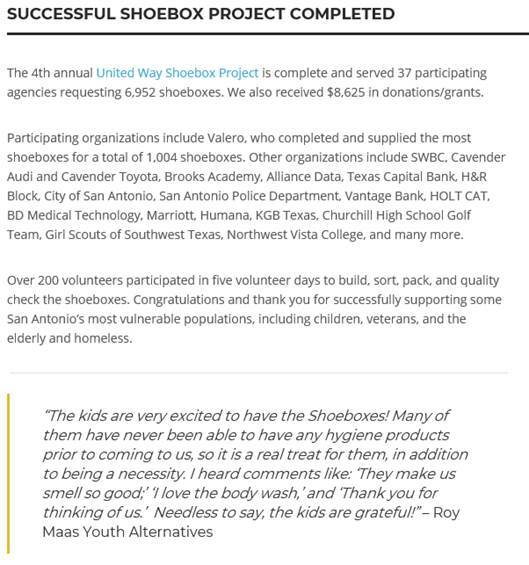 Northwest Vista College Staff Senate recently participated in United Way’s Shoebox Project. Staff Senate filled 32 boxes with 12 to 14 different toiletries that will be distributed to people who need it most. 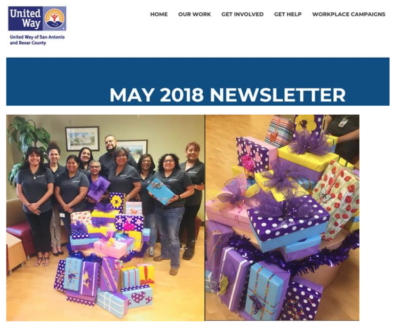 Read what United Way of San Antonio and Bexar County put in their recent newsletter.